Fully autonomous vehicles may not be crisscrossing the United States just yet, but they are causing traffic on news sites and social media. New research shows this heavy media coverage influences how the public perceives the vehicles, which can have lasting effects on the emerging technology and society. 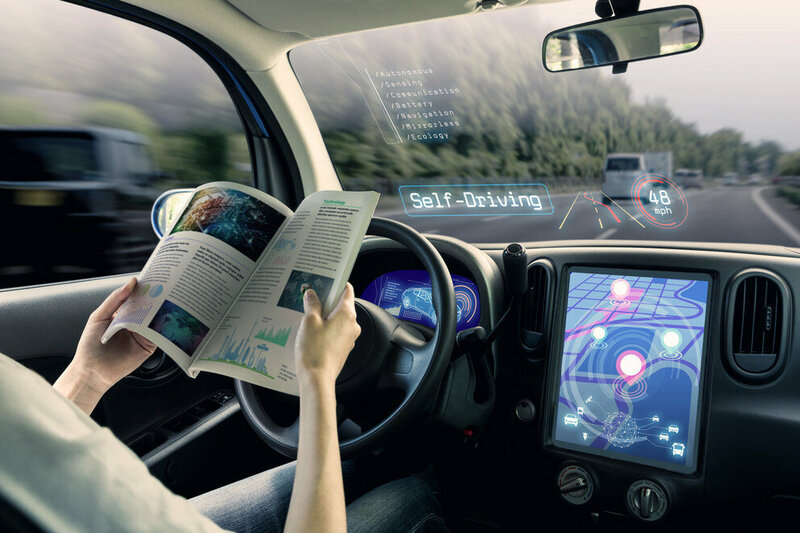 In a study on promotional messaging and labeling of autonomous vehicles, researchers from the Donald P. Bellisario College of Communications found that emotional responses to messages about autonomous vehicles have significant effects on people's views. People who were curious about autonomous vehicles were more likely to support stricter regulations, while those who were excited about the technology had stronger intentions to hop in and try it out. "You can't wait until the vehicles are on the road to suddenly decide the way you've been explaining the technology isn't the best way," said Jessica Myrick, associate professor of media studies. "Our goal is to understand how the public will understand these technologies in light of different types of media and message exposure." It is an important time for autonomous vehicles. As technologies emerge, people begin forming their opinions. Myrick, the lead author of the study, says once people begin to form those opinions, it's much harder to change their minds later. "It's important to understand different promotional tactics used my companies and how they might impact consumer sentiment, alongside news coverage," said Myrick. "This is when people's attitudes are formed." The researchers, whose findings appear in the journal Science Communication, showed more than 700 Americans real marketing and promotional materials associated with autonomous vehicles from companies like Toyota, Intel and Uber, among others. 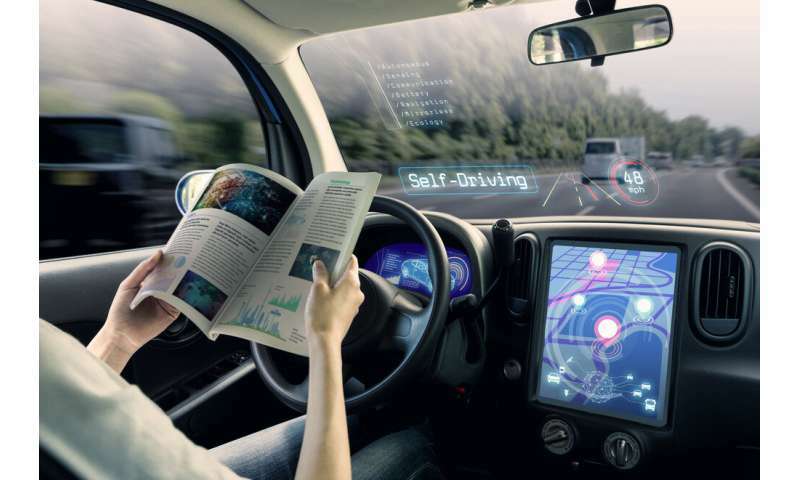 During their preliminary research, the researchers found companies and media outlets use different names for this emerging technology: autonomous vehicles, driver-less cars, intelligent transportation, self-driving cars, robot cars, unmanned vehicles, to name a few. Even Congress has used two different names for the technology. A 2017 bill in the House of Representatives refers to the technology as "self-drive" and a Senate bill from that same year says, "autonomous vehicles technology." The research team altered the captions on promotional messages from autonomous vehicle companies to test how participants would respond to these different names for the technology. A term like "self-driving cars" seemed to dampen excitement among participants. Myrick thought that self-driving may imply that the car is a "self," which could make people feel uncomfortable. "It makes it seem less neutral and more like a person than 'driverless' or 'autonomous,' which may creep some people out a little bit," she said. "Changing one little word has effects." That is why it's important for companies, policy-makers, reporters and consumer groups to be aware of how media can shift public opinion right now, long before the technology is widespread. Early communication plants the seeds for future understanding, engagement with policy decisions, and possible acceptance. "Whenever there is something new like this, there is a battle for who gets to name it," Myrick said. "A part of the goal of this study was to highlight what's currently in the media and how it impacts audiences. How does it get them engaged?" Autonomous vehicle technology has the potential to alter whole industries, policy, and the way of life for millions of people. In addition to safety concerns, these types of changes can cause anxiety. To ease some of that anxiety, autonomous vehicle companies have signed up celebrities—Lebron James, Mark Cuban and Neil Patrick Harris, for example—to appear in advertisements. The researchers found that celebrity presence had little effect for most audiences, though. Instead, emotions about the product drove the likelihood that a person would be OK with sharing the road with driverless cars. "Using celebrities only worked well for people who were already really into novel technology," Myrick said. "The celebrities were effective in making what we call 'novelty seeking' consumers even more excited and more curious about these vehicles."